You can select a data source from which VM data must be read. At the Virtual Machines step of the wizard, click Source on the right of the VMs list. From production storage. In this case, Veeam Backup & Replication will retrieve VM data from datastores connected to the source ESX(i) host. From backup files. 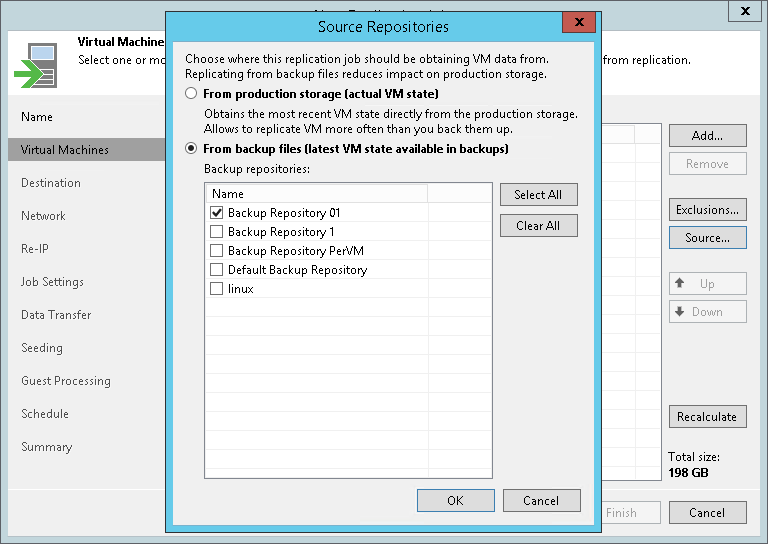 In this case, Veeam Backup & Replication will read VM data from the backup chain already existing on the backup repository. This option can be used in the replica from backup scenario. For more information, see Remote Replica from Backup.